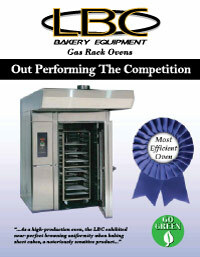 WHY BUY FROM FOOD MAKERS BAKERY EQUIPMENT? More than 30 years of excellent service has contributed to our client's success. 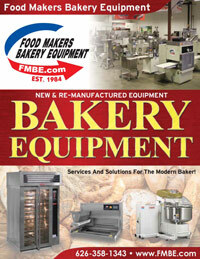 With over 50 dedicated employees, Food Makers Bakery Equipment is committed to you, the Bakery Professional. 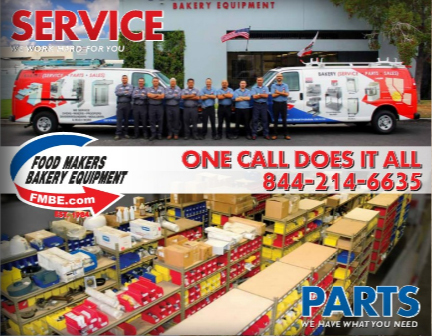 Rely on our inventory of 1,000 new and remanufactured bakery machines, technical support, 40,000 parts inventory and full manufacturing plant to increase your production and profits. 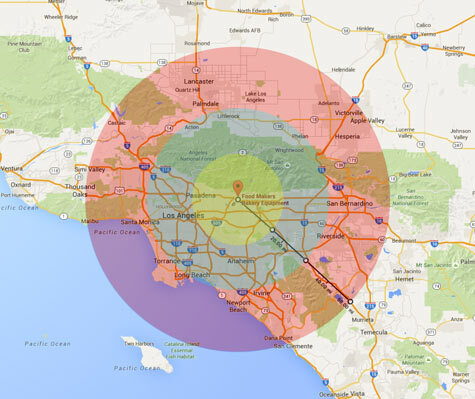 Call us for more information on our services. 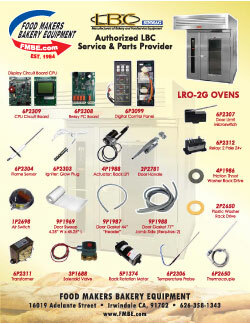 What Is Your Equipment Need? 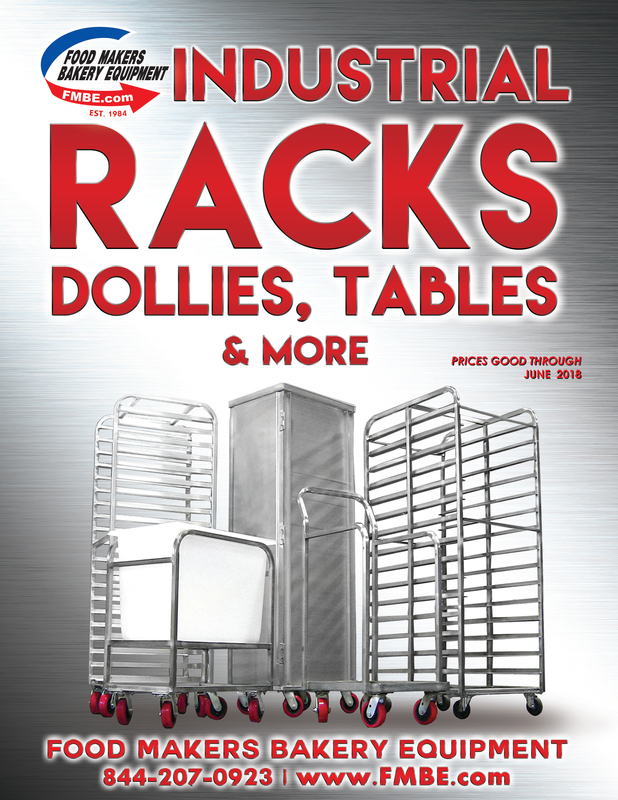 We believe in manufacturing Industrial Quality products that will outlast and out perform any other rolling stock in the market. 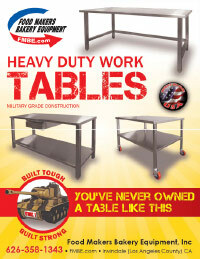 Our racks are built strong to get the job done. Call us for more information or to schedule an appointment. Hinds Bock Depositor Gasket Tri Clamp. Hinds Bock Depositor Spout Attachement 2"
Benier Moulder B077E Flanged Clip Bearing. Rondo Sheeter SS067 / SS615 Safety Guard Switch. Rondo Sheeter SS067 /SS068C Scraper Blade Assembly 25". 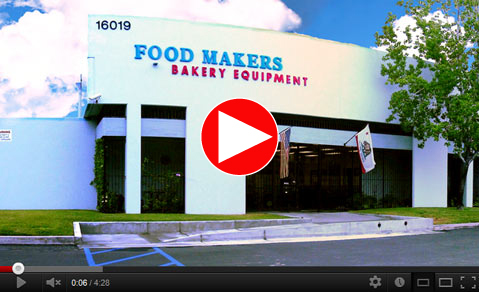 White Plastic Blade Measures: 26.25"
With over 50 dedicated professionals and 30 years of service, Food Makers Bakery Equipment offers many services for the wholesale baker. 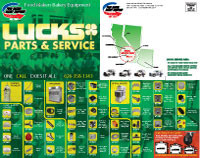 Rely on our inventory of 1,000 new and remanufactured bakery machines, 10,000 parts inventory and full manufacturing plant to increase your production and profits. Copyright © 2014 www.bakeryequipment.net. All Rights Reserved.